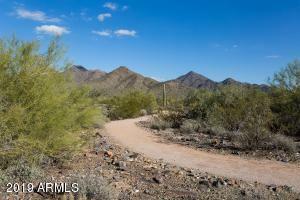 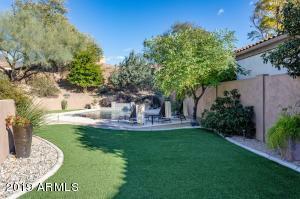 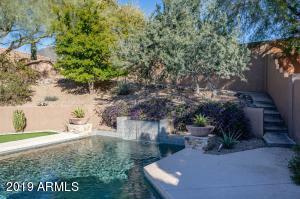 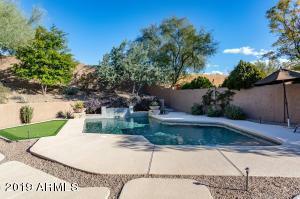 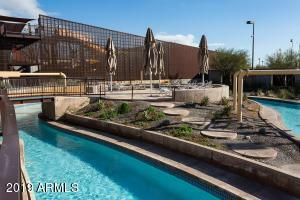 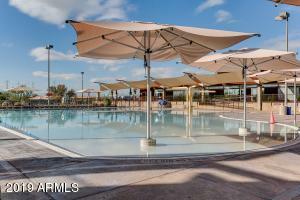 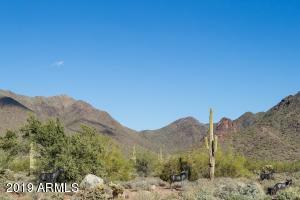 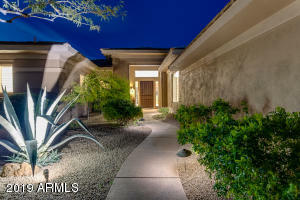 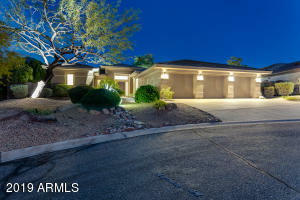 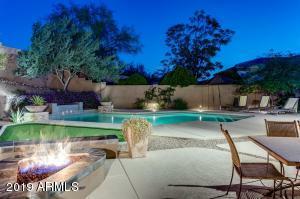 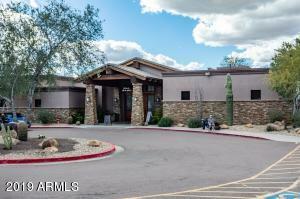 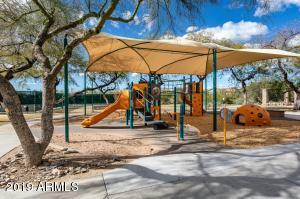 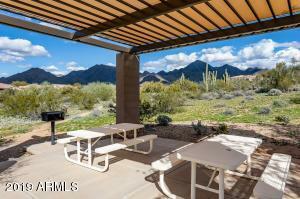 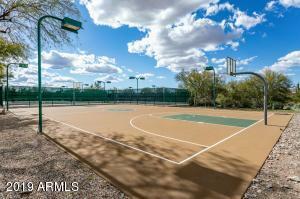 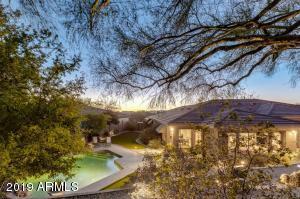 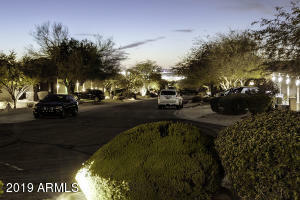 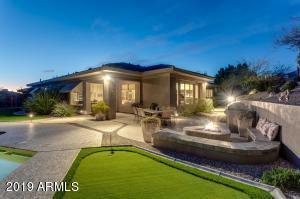 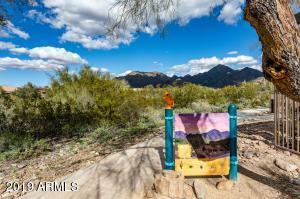 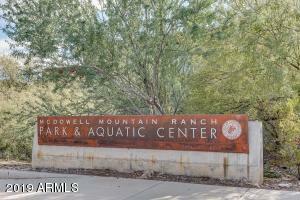 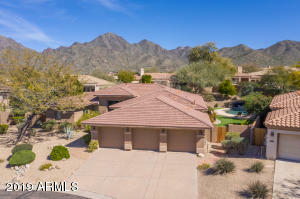 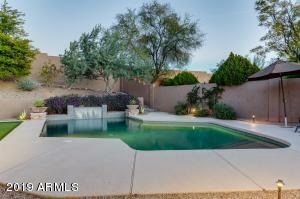 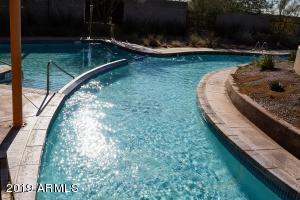 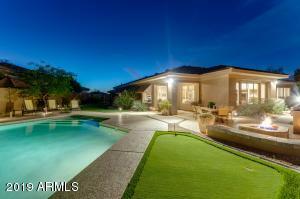 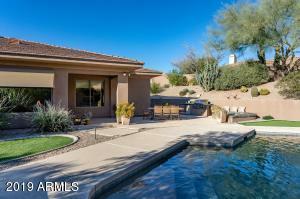 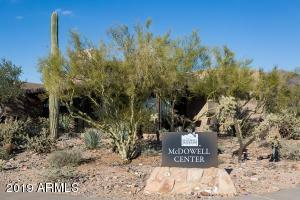 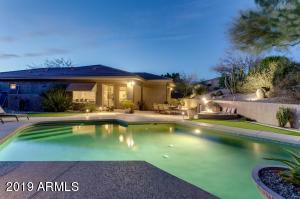 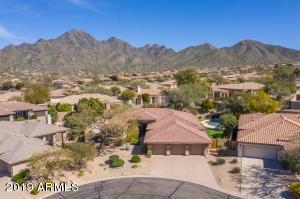 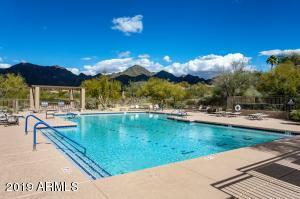 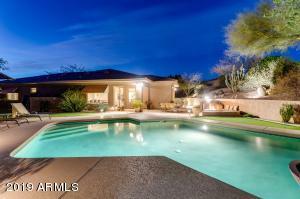 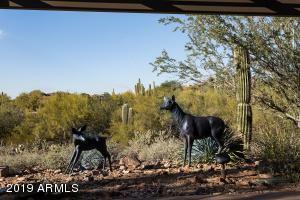 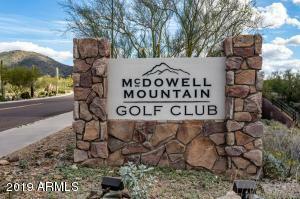 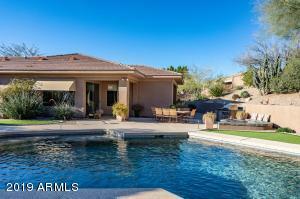 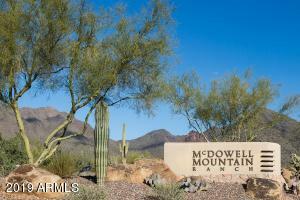 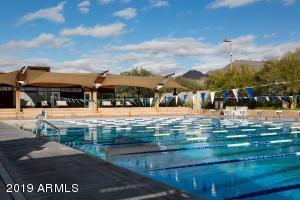 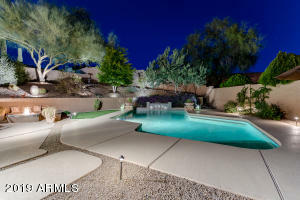 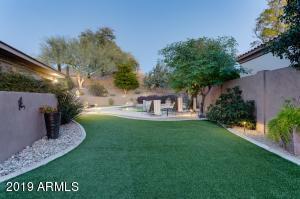 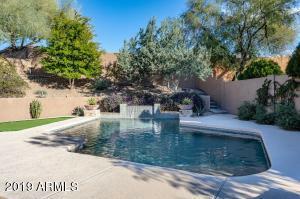 One of the most exclusive lots to hit the market in McDowell Mountain Ranch this year is now available. 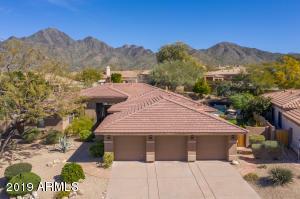 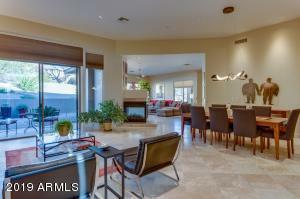 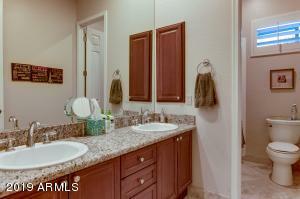 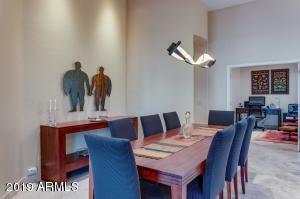 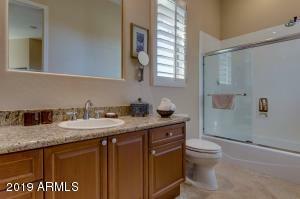 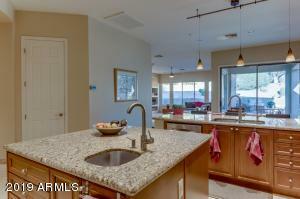 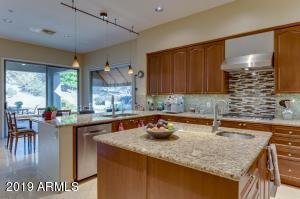 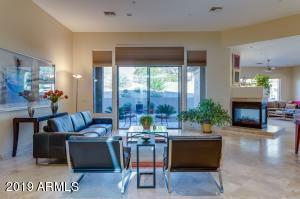 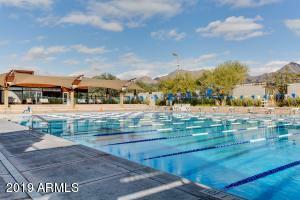 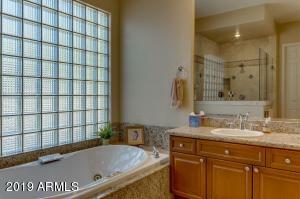 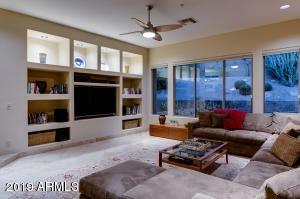 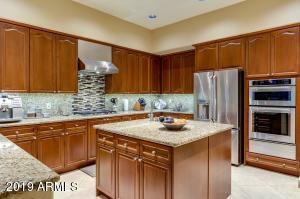 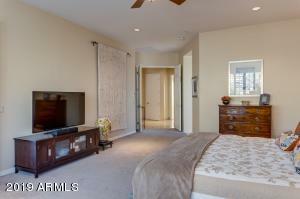 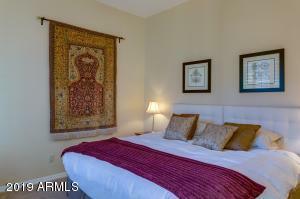 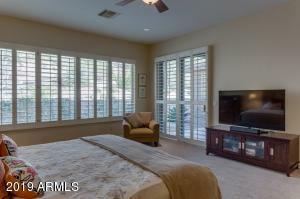 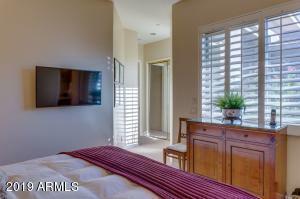 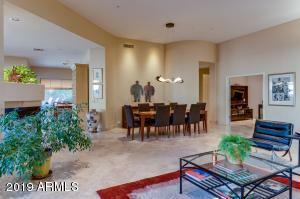 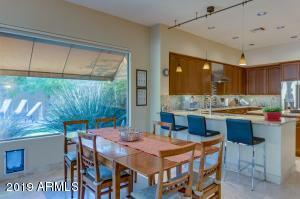 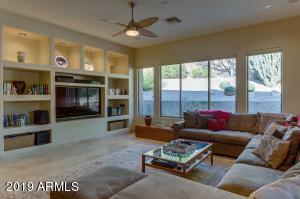 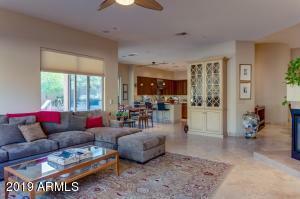 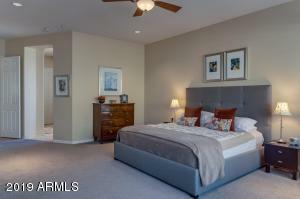 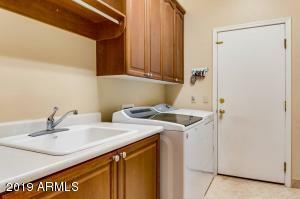 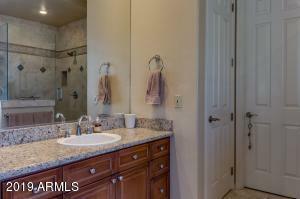 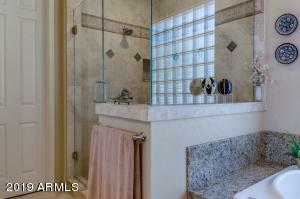 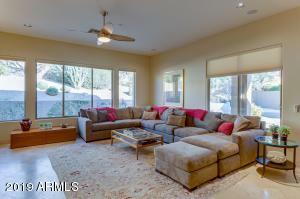 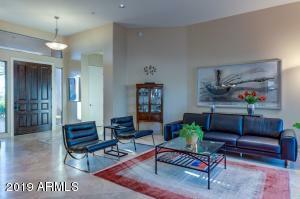 This single level property has a spacious and open floor plan at 3,455 sq. 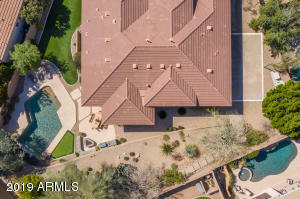 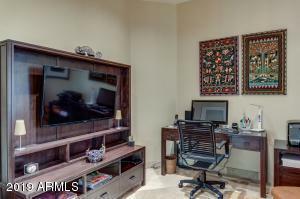 ft. and an additional living room extension beyond the standard Escalante Plan which was offered by Toll Brothers, the premiere custom home production builder for McDowell Mountain Ranch. 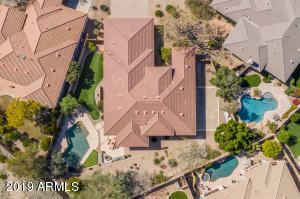 This property boasts a completely private 16,495 sq. 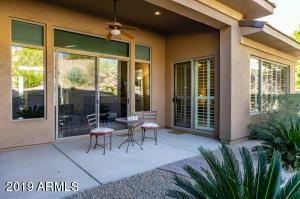 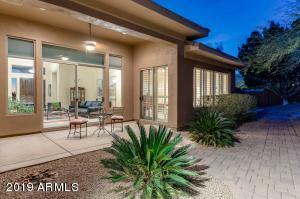 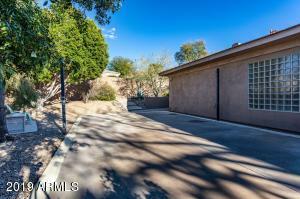 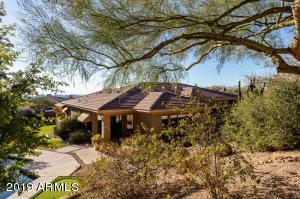 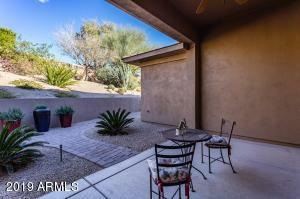 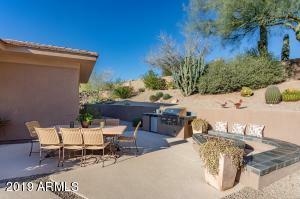 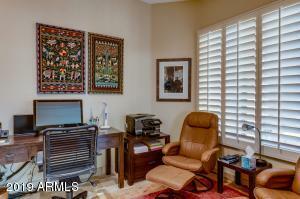 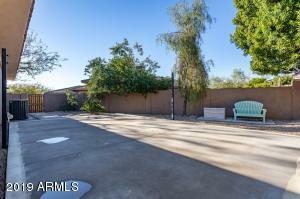 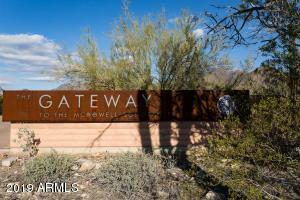 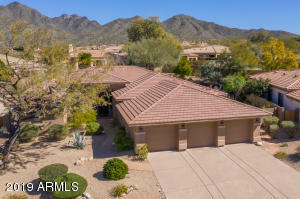 ft. lot and also offers city light views out the front entry that will make others envious. Upon exiting to the outdoor patio, you will be impressed by the large backyard oasis that exists with a beautiful waterfall feature, synthetic turf throughout and a sport court on the north side of the house for the complete outdoor entertainers experience. 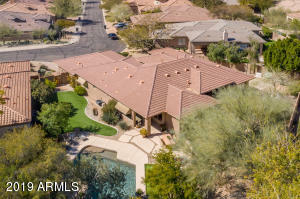 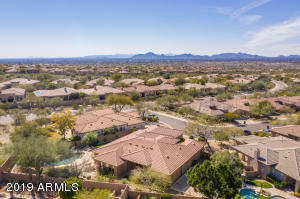 From intersection go east on McDowell Mountain Ranch Rd, south on 105th st, east on Queens Wreath Ln, north on 110th st. Home on east side of the street. 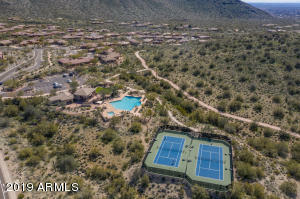 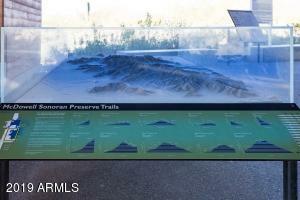 Thompson Peak/ Mcdowell Mountain Ranch.